Nothing that comes easy ever really matters..."
Read what the fans think about this long awaited release! In the 70s, he was a teen-idol who ironically wrote very adult songs about murder-suicide, infidelity,the lust of money, and the celebration of life. In the early 80s, he was the adult melting teenage hearts with pop tracks about coveting Jessie's girl and affairs of the heart. By the mid-to-late 80s subtle hints of deep emotions covered up by rough guitar and synthesized beats were coming through in Living In Oz, Celebrate Youth and Rock of Life (written for his first born Liam). Now, at the close of the 90s, Rick at 49years-and-7months (yes I'm counting), freely pours out just about every emotion one can feel and allows us to connect on a soul-to-soul level with KARMA. I will always have a soft-spot for his great tunes of the 80s, but this highly acoustic album is definitely the finest Rick I've experienced becuase it is Rick finally bearing his soul, sharing his faith, testifying of his struggles, and coming to redemption. Most of the songs are spiritual: Prayer is Rick's vow to improve the quality of his existence; Free is Rick's breaking through his emotional burdens with the spirit of love; in Act of Faith, Rick consoles a friend who's just lost her love presumably through death, but urges her that life goes on and so must she; Karma is my pick. The piece has excellent unpredictable instrumentation. It is Rick's belief in this song that whatever he puts into life, he will get out of it. The single cuts of the album, in my opinion should be KARMA, FREE, ACT OF FAITH, and PRAYER, but it's more likely that one of the more mainstream pop-oriented sounds like In Veronica's Head will make the cut first. Rick makes many references to his family too. As always, his father remains a thread through most of his albums, and he's present in the song Itsalwayssomething. Ordinary Girl is about his wife and Shock to My System is for his younger son Josh. If the world accepts KARMA like Rick's loyal fans do, it will be a major hit with GRAMMY written all over it. As always, I've been impressed with Rick, and as always, I want more. By the way, this album is very relaxing; I've played it whle drifting off to sleep. As one of Rick's "over 40" fans, I wanted to add my thoughts about the new music that Rick has put out. I was very surprised when I heard Sahara Snow.The ability to co-write with others has given Rick a new way of keeping the rock edge to his music. Even my son liked it without even knowing the artist. Now, that's a tough audience! stretch his boundaries and yet still brings us to a familiar place. I have a feeling that many of Rick's fans will see Karma as his best work to date.Although I am not sure if the music industry will see it the same way, I truly hope that this release gives Rick the respect that he deserves as an artist who can keep us rockin' and always "in tune". really like The White Room, Free, In Veronica's Head & Ordinary Girl. Can't wait to watch the VH1 show on Rick. What can I say................AWESOME! !The production on this CD is FANTASTIC!! It's nice to hear something new from RICK!! Rick's new album is terrific. It was worth the ten year wait. Karma does have a different sound than other Rick records, but look at his albums before this. They go through lots of different sounds. Wait for Night is certainly not Rock of Life (and the only difference is not time). Rick has proved his talent as a wonderful, personal songwriter time and time again and continues to do so with Karma. "After missing Rick and his music for 10 long years, I was very relieved to hear the refreshing sound of KARMA! Even if you're not a die hard Rick fan,which I can't imagine, I highly recommend this album. It is inspiring and a true revelation of Rick's soul. I immediately loved every track and listen to it frequently. (I get 'Prayer' stuck in my head all the time!) It's been a long, long time coming...but it was VERY well worth every minute of waiting! I was too young too see Rick Springfield live, when he visited Sweden in 1985. My first album was Tao which I still consider his best. From that day I have bought just about everything I got hold of with Rick, hoping and wishing for his return and the success he deserves. You can imagen my feelings when I heard that KARMA (and earlier Sahara Snow) was to be released. KARMA is great but it´s not easy to find the hits only listening once. But since I´ve listened everyday for a couple of months I know it by heart and it feels abolutely great. I wish Rick all the best and hope to be able to see him on MTV (will there be a video?) and most of all live in a consert (will he visit Sweden, Europe?). I also thinks Rovianne ought to be released again (B-side, bonustrack? ), since it´s too good to be forgotten! After having seen Rick in Columbus last year, I was impatient to buy the newest CD; when I heard a Japanese import copy was available, I jumped atthe chance. I actually ordered this CD through Amazon.com and received it last Friday. It is excellent, and it gets better every listen. My absolute favorite song is the title track, but every song is excellent. I know all fellow Rick Springfield fans are going to love it. GREAT JOB RICK (and gang)! really like The White Room, Free, In Veronica's Head & Ordinary Girl. This is an awsome CD, His best work to date and i can't wait to see him live again. I became a fan back in 1981 and have never stopped listening since. Up until Karma my favorite album was Rock of Life but Karma takes over first place now. I just hope the album gets the airplay it deserves. "Rick Springfield is musician and a man of substance." I BOUGHT THE KARMA CD AS A JAPANESE IMPORT BACK IN OCTOBER AND IT REALLY HAS NEVER LEFT MY CD PLAYER EVER SINCE.YOU JUST DON'T GET TIRED OF HEARING IT.I HOPE IT GETS ALL THE SUCCESS THAT IT DESERVES. I just got the CD this past weekend and I Love Karma and Free. They are great! Rick is great! I am so glad he finally released a new CD. I ordered the Japanese version and I love it. Not as upbeat as the last couple of albums but the same vocal and musical style. If you loved Tao as much as I did then Karma will not dissapoint. The Jesse's girl acoustic is pretty good. I can think of a lot of other songs that he sould do acoustic. Me and Johnny... Living in OZ Written in Rock. World stop turning..and the list goes on. I am going to the live show in San Antonio on April 3. Saw Rick on Tao tour and still rates one ofthe best live shows I have ever seen. That list includes the Stones, The Who and Kiss. Rick blew them all away (except Kiss in 79). Life my third. Once again Rick has proved he is more than just a pretty face. I've always loved his writing. With every album he has matured. He showed us there is more to life than"getting the girl." Rick obviously has a strong spiritual side and it shows in his music. My favorite songs are, Free, Ordinary Girl, Beautiful Prize, and Karma. Welcome back Rick. We've missed you. Rick has always put out personal and autobiographical music that puts his fans in touch with his life. However, Karma is his most emotionallypowerful and revelational album. He has matured and his music has too! It's wonderful to listen to something that you know comes from someone'sheart and soul. Besides that, it is great music. I will always respect Rick. He is a legend! I got the new cd at Mediaplay on April 11, so it's already out! If I had to critique it, the first thing that comes to mind is that, like a finewine, both Rick and his music have matured well! It is very introspective, and has that true "rock grit" to it. I can't stop playingit. This has to be "The One!" I couldn't wait to get Karma. I love it love it love it!!! It is the best I have heard and I am so glad he is back. The songs move my heart and soul. He is so happy to be back and it shows. His new band is super. WELCOME BACK RICK!!! We love you!! Cari Ablondi. Little Rock, Arkansas. I popped the CD into the player, after waiting a decade for new music, and it hasn't stopped since. Some songs are classic Rick and others utilize his many years of experience and today's times. I love it! My favorite track is Ordinary Girl. I only hope they release it as a single to have it played on the radio. As many of you know, I teach high school and take a lot of ribbing like" You listen to Rick WHO?????????????" Anyway, I can take it and just keep playing my music whenever I can. Karma however is different. For the first time ever, students come in my room and want to know if I have that "new CD'' as they call it. The one song that they request over and over again is Free. I knew how much the song means to me since I got to hear Rick explain the story behind it last year, but I was truely surprised that 17 year olds would request it. It really is the most beautiful song I think Rick or anyone for that matter has ever written. I wasn't sure if I should play Beautiful Prize to my class or not, but I did . I could not believe how quiet they were. They were totally drawn into the song. My class has never been that quiet ever. Wow. 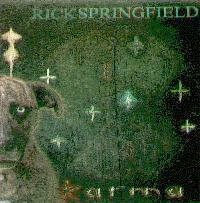 Maybe this CD will have appeal to a broad audience and not just those of us who love stuff just because its from Rick. Some people have been comparing Karma to SS, but in my opinion there is NO comparison. Karma is leaps and bounds better, even though I really love Lust . I think the entire disc is great, but my favoritetrack is IN VERONICA'S HEAD. I also like SHOCK TO MY SYSTEM. I love how Rickpours his emotions into his music. The only song I'm not crazy about is BEAUTIFUL PRIZE. It gives me shivers. But it is WONDERFUL to hear something new from him!!! I just listened to Karma for the first time tonight. To be honest, I didn't know he had released a new album. (I feel like such a bad fan!) At any rate, I love it. I absolutely LOVE it! I bought it at an autograph party where I got to meet Rick and take a picture with him. I will be seeing him in concert tomorrow in Oklahoma City as he kicks off his Karma tour. Rick is BACK, ladies and gentleman...and he is here to stay. I asolutely love the new album (cd). Rick has done a great job with his own style that makes him the special person he is. I have played this cd so much since I got it and it only gets better! My favorites include; "Religion of the heart," "Karma," and "Act of faith". Of course, the first single "It's always something" is really good too. I hadn't heard it much until I saw him sing it on the "Donny and Marie" show. Ya see I bought this cd before I heard any of the songs. I believe I bought It on the day it went on the market. I knew I would love it as I love Rick himself. I'm telling all my friends of the new cd and I'm going to see him this weekend in Indy. I'm very excited! Keep ROCKIN RICK....we love you! I purchased Karma in the tape form as soon as it was available. I have listened to it so much that I wore it out and I had to purchase the CD. This is a must have for anyone. Rick's talent really comes through in this music. I am a little disappointed that I haven't heard more of the singles on the radio. They have no idea what they are missing. Karma is GREAT!!! A small footnote for those who are interested-I just received a copy of Saraha Snow and again I must say, This is another great album. A little bit harder that what you might expect from Rick but definitely something to be listened to and enjoyed. If you have listened to Karma and love it, or even if you have mixed feelings about it, send your thoughts to ashelin@aol.com .